Dame Kathleen Kenyon was a British archaeologist who excavated the city of Jericho to its Stone Age foundation, and proved it was the world’s oldest continuously occupied settlement. She was the most influential female archaeologist of the last century, and instrumental in bringing the profession to the attention of the general public. Born on January 5, 1906, Kathleen Mary Kenyon was born in London, England. Her father was Sir Frederic Kenyon, a biblical scholar. She grew up in Bloomsbury, London in a house attached to the British Museum, where her father was employed as director. Her parents insisted that she and her sister receive excellent educations, and Kathleen responded by excelling academically. She attended Oxford University where she was the first female president of the Oxford University Archaeological society. After Kathleen graduated in 1929, she joined an excavation in Africa at Great Zimbabwe as a photographer. When she returned to England, she joined Mortimer Wheeler’s team, and participated in the excavation of the Romano-British settlement of St. Albans. While working at the site, Kathleen learned Wheeler’s method of stratigraphic excavation, which would come in handy later in her career. During the 1930s and 1940s, Kenyon kept very busy working on archaeological sites of ancient Britain and the city of Samaria and Sabratha in Libya. 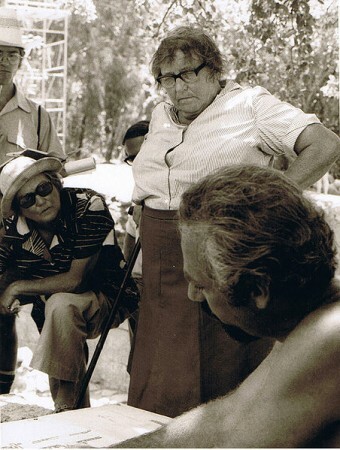 But it was in 1951 while she was serving as the director of the British School of Archaeology in Jerusalem that Kathleen began the work that would change her life and establish her legacy. Kenyon began meticulously excavating the prehistoric site of the biblical city of Jericho to determine when it was originally settled (8th millennium BCE) and the date it was sacked by Joshua and the Israelites (c. 1425 BCE). She accomplished what she set out to do, and much more. When excavating Jericho, Kenyon utilized a version of the method she had learned working with Mortimer Wheeler at St. Albans (now called the Wheeler-Kenyon Method). Previously, excavations had been performed by simply peeling off layer after layer of soil. Using this method, several inches could be lost in the process – meaning a loss of “time” that could not studied. In contrast, using the Wheeler-Kenyon Method, the approach is vertical rather than horizontal. Trenches or squares are dug in a checkerboard configuration, with walls between the squares to facilitate the dating of one time period with another. This greatly improved the archaeologist’s ability to date any findings. Kenyon concluded that the walled city fell around 1550 BCE, long before Joshua and the Israelites arrived. Archeological evidence and biblical text didn’t support each other. Her controversial interpretation of the evidence has been debated ever since. In 1973, Queen Elizabeth II honored Kathleen Kenyon’s substantial contributions to archaeology by naming her a Dame of the British Empire. She died in 1978 at the age of 72. That’s what Mrs. Kenyon “concluded?” Well, since more than a billion Christians and Jews (myself among them) believe that the Bible is the inerrant Word of God, I will “conclude” that she “concluded” incorrectly. 2. The walls fell around 1425 B.C. (later than she believed) and Joshua was there to defeat the residents. Either way, the Queen (who is referred to as the visible head of the Church of England) ought not to have given Mrs. Kenyon the title of “Dame,” because her work tended toward undermining the British people’s trust in the Bible.